Let us help you recruit talent! 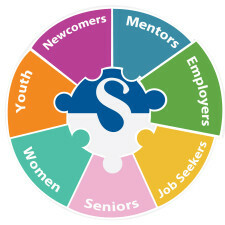 Skills for Change assists employers find right candidates from the pool of skilled workers that we serve. We work with talented internationally trained professionals and immigrants find job with various employers. 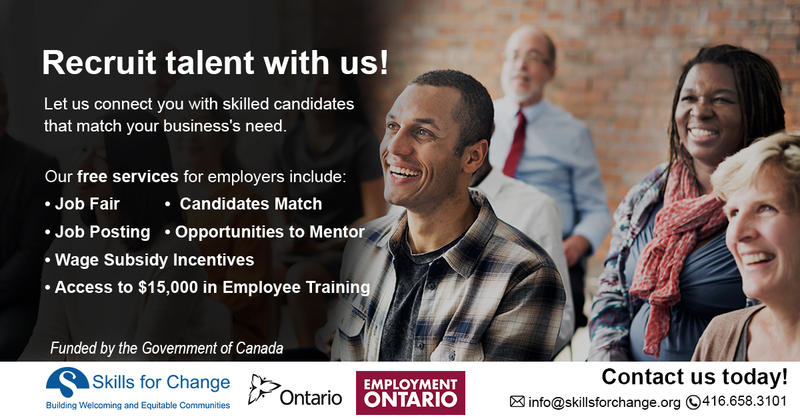 Connect with our employer engagement team about your recruitment needs and access a large, diverse pool of qualified candidates at no cost to you. Contact us NOW to discuss how we can assist your hiring needs.